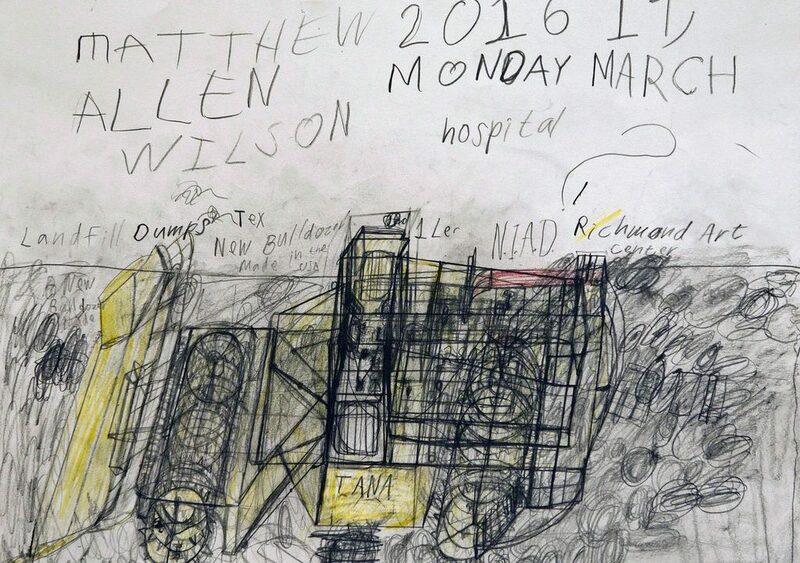 The thing that’s fascinating about Matthew Wilson’s drawings is that he draws the interior and exterior of machines at the same time, as if he has x-ray vision. And, after studying videos of machines, heavy equipment, transportation and amusement park ride, he creates his drawings from memory. Matthew Wilson is represented exclusively by American Primitive in New York.